Back in the 1970s, Puri was a well-established stop off along the hippie trail. Today the backpackers still flock to its shores as do Indian tourists and Hindu pilgrims alike. 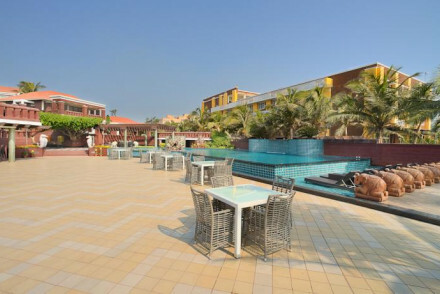 Our pick of the best places to stay in Puri are ideally located for exploring its sites. The impressive Jagannath Mandir is well worth a visit, especially during July for the unusual Rath Yatra (or Car Festival) where thousands of worshippers parade wooden deities along the streets. Puri also boasts a long sandy beach, ideal for takingh a stroll. Our pick of the best places to stay in Puri provide classic luxury and beachside stays. 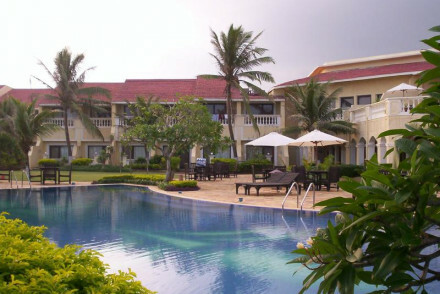 With all the modern amenities including an indulgent spa The Hans Coco Palms is located right on Puri’s coastline. Delightful rooms enjoy impressive views and contemporary bathrooms. Large, luxurious rooms and bathrooms, fine dining, indoor and outdoor pools: Mayfair Heritage has it all. Still not sure which to book? From classic to coastal browse through our list of the best places to stay in Puri to start to plan your trip. Or contact one of our friendly gurus for advice. Beachside getaway which delights with modern comforts and a stylish touch. Delectable seafood and vegetarian fare in the OceanCafe. Float over to the outdoor poolbar for a fruit cocktail. Colonial era furniture and light colours make rooms relaxing and charming. Spa, massage, gardens, library. Beach Life - Orissa's beaches are one of India's best kept secrets! Sprawling beachside resort offering modern amenities and polished comfort. Indoor and outdoor pools, gym, spa, games room, private beach access, banquet room. Carefully appointed rooms are inviting and tastefully decorated. Dine on the veranda or in the restaurant on delicious international fare.